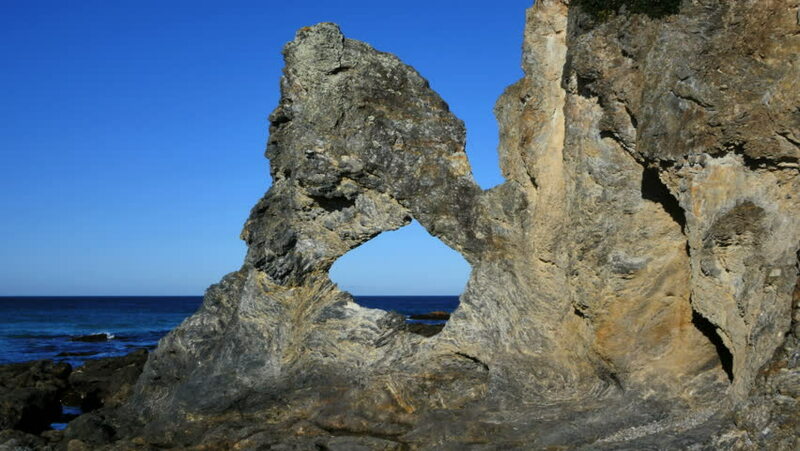 The curious Australia Rock has a hole in in shaped more or less like the continent of Australia. hd00:12Beach of cathedrals (Praia de Augas Santas), Ribadeo, Lugo, Galicia, Spain. Atlantic ocean, Bay of Biscay.